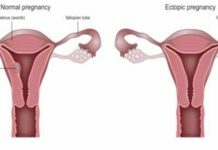 Ectopic pregnancy is a complication which arises when the embryo gets implanted outside of the uterine cavity, most likely in the fallopian tube. Apart from the fallopian tube, some other parts where an embryo can be implanted in the case of an ectopic pregnancy are ovaries, cervix and even the abdomen. 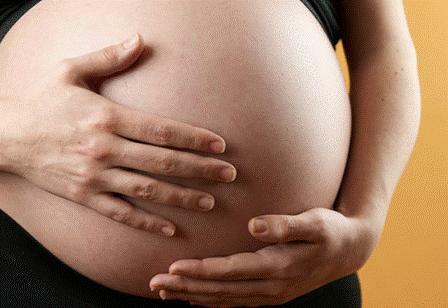 Ectopic pregnancy is a situation of a medical emergency, which means that this type of pregnancy is not viable and is dangerous for the mother. This can be a life threatening condition if not diagnosed early. Infact if a female has an ectopic pregnancy; her chances of conceiving are reduced. The following is some more information about ectopic pregnancy and your chances of conceiving after one. During an ectopic pregnancy, one of the tubes where the baby has been implanted can get ruptured and thus it may need to be removed. In such a case, the chances for conceiving are reduced to 50%. In most cases, there is about 10% chance of repeated ectopic pregnancy if a female manages to conceive in the first place. This percentage basically depends upon what treatment was done in the first case of ectopic surgery and whether or not there was any damage to the tube or tubes. In the case when an ectopic pregnancy goes unnoticed or undiagnosed, a hemorrhage might be caused inside the pelvis and this may also lead to adhesions. 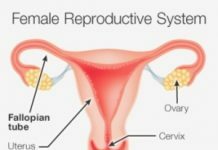 Due to this, the fallopian tube gets affected and further reduces the chance of conceiving normally. If a woman has had an ectopic pregnancy the first time, then it is likely for her to experience it again. To avoid this, one must get enough rest after getting treated as this gives her time to cope up emotional and physically. It is recommended that after treatment of ectopic pregnancy, a woman must be given 3 months of rest. During this period, the woman can seek counselling or believe that her body is capable of conceiving and giving birth to life. Being positive and meditating are some ways to deal with an ectopic pregnancy. Since conceiving normally after an ectopic pregnancy is tough, IVF Treatment has shown excellent results. IVF has come as an answer for many women whose tubes get damaged. IVF treatment is helpful in such a scenario because all the processes that had to take place in fallopian tubes, take place in a lab in the case of IVF. Smoking-the more a female smokes, the more likely is she to have a risk of ectopic pregnancy. Endometriosis-this is another condition which might increase your risk of ectopic pregnancy. Pelvic inflammatory disease (PID)-if you have suffered from a pelvic inflammatory disease then you have a higher risk of going through an ectopic pregnancy. Infact there are some medical treatments too which can raise risk of ectopic pregnancy. Some of them include surgery on fallopian tubes and fertility treatments.